Calvin G. Butler, Jr., chief executive officer of Baltimore Gas and Electric Company (BGE), will be the featured speaker at the Johns Hopkins Carey Business School’s graduation ceremony, Tuesday, May 21, at the Joseph Meyerhoff Symphony Hall in Baltimore. “Calvin Butler is an accomplished business leader who is dedicated to both his industry and to the greater community. We are proud to welcome him as our graduation speaker,” said Bernard T. Ferrari, dean of the Carey Business School. 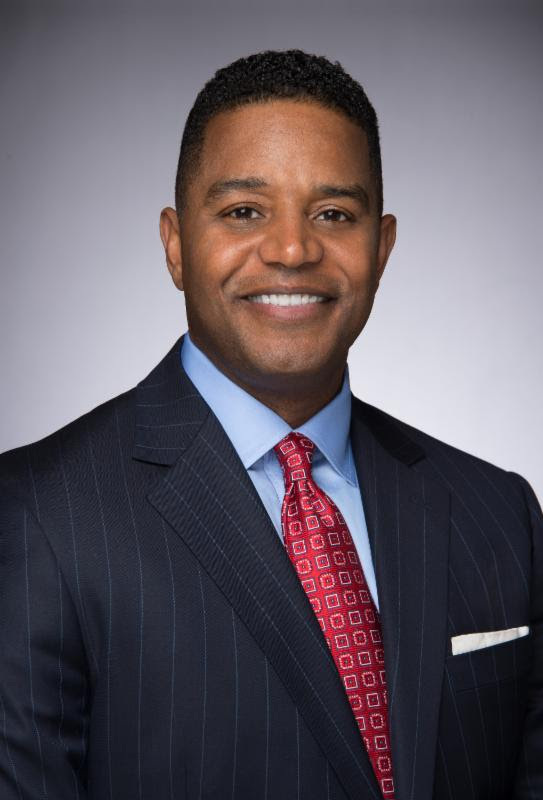 Butler is the chief executive officer of BGE, the nation’s first gas utility, and is a member of BGE’s board of directors and a member of the executive committee of BGE’s parent company, Exelon. As chief executive, Butler oversees safety, reliability, customer service, and financial performance for BGE. Additionally, Butler serves as an independent trustee of the PNC Funds Board, on the Board of Directors for RLI Corp serving as a member of its audits and nominations/governance committees. Prior to becoming CEO in March 2014, Butler served as BGE’s senior vice president for regulatory and external affairs. Butler also served as Exelon’s senior vice president of corporate affairs and held other leadership positions at Exelon and BGE’s sister utility, ComEd (Chicago). Before joining Exelon in 2008, Butler held senior leadership roles in external affairs as well as in manufacturing with the print, digital and supply chain solutions company RR Donnelley. Butler spent his early career with CILCORP (Central Illinois Light Co.), where he worked in government affairs, legal and strategy. Butler serves on the boards of several prominent Baltimore-based organizations including the Baltimore Community Foundation, University of Maryland Medical Center, Greater Baltimore Committee, Cal Ripken, Sr. Foundation, the Center Club, and Caves Valley Golf Club. He also serves on the board of his alma mater, Bradley University, where he is currently chairman of the board of trustees. In addition, Butler serves on the board of the Institute of International Education, a not-for-profit organization focused on advancing scholarship, promoting access to education, and building economies; and the Library of Congress' James Madison Council. He has been recognized by several organizations for his leadership and community commitment. In 2017, he was named among Black Enterprise Magazine's "300 Most Powerful Executives in Corporate America," and "Industrialist of the Year" by the Baltimore Museum of Industry. The Daily Record named Butler one of Maryland's "Most Admired CEOs" and one of its Top 35 Influential Marylanders, while Baltimore Magazine named him one of its "Top Ten Baltimoreans." Butler earned a bachelor’s degree from Bradley University in Peoria, Ill., and a Juris Doctor degree from Washington University School of Law in St. Louis, Mo. He also received an honorary doctorate of Humane Letters from Morgan State University. Accredited by the AACSB, the Johns Hopkins Carey Business School is the business school of Johns Hopkins University. Established in 2007, the Carey Business School’s mission supports business knowledge development and education through its own initiatives and innovations, and through collaborative programs across Johns Hopkins University. Carey creates and shares knowledge that shapes business practices while educating business leaders who will grow economies and societies and are exemplary citizens.